Well it seems this week to be all (or mostly) about the YouTube so let’s get started! With the enormous growth of YouTube over the past years it has become vital that anyone wanting to gain any kind of exposure on that site absolutely cover every base offered by YouTube to do so. To understand why this is the case you have to understand what YouTube actually is. YouTube is no different from the rest of the internet. By that I mean that is a morass of completely unrelated, disconnected information. The only difference with YouTube is that it is all in the form of video rather than millions and millions of videos, images and text like the rest of the internet. In both cases none of this vast repository of information is of any use to anyone. The only point at which any of it becomes useful is when somehow it is organized into an understandable and searchable form. That is entirely what Google, Bing etc. do. They index and sort that content so that it can become usable. The same goes for YouTube only they have a bigger problem. Indexing and classification software cannot actually “see” or “watch” a video to work out what it is about, what subject it is relevant to or whether it is of any value or not. Having someone sit down and manually do this is impossible so they need to have a way in which to do it. It is at that point that you as a YouTube user can begin the process of assisting YouTube to classify your content and organize it in a way that YouTube can understand. If you read the series of posts I have on this site HERE you can get an idea of how to optimize your videos and your YouTube Channel to maximize your position with them. However one aspect of optimization that gets sadly overlooked is that of Playlists. 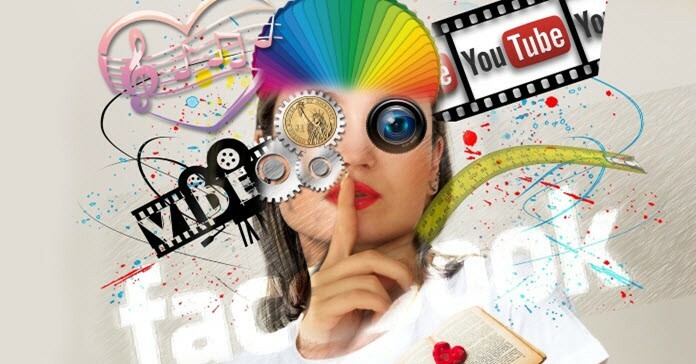 Many, many people simply do not understand them or use them yet they can be a very powerful way of communicating to YouTube what you are all about and organizing your content in a way that YouTube will understand. And believe me, if you do it they will thank you for it! If you imagine your YouTube Channel as a normal website it is easier to understand the concept. The main Channel page is the same as the main page of a website. A website will then have Categories and in those categories there will be content gathered together that has relevance to that category specifically. The equivalent on YouTube is Playlists. Your Channel has an overall subject and your Playlists contain content that relates specifically to more targeted subcategories of that main subject. Check out the video below to get a good understanding of the use of Playlists on YouTube and how to set them up correctly. Poll Cards are a feature offered by YouTube which allow you to literally poll your audience mid video, at the end or wherever you want really. One of the key metrics YouTube uses to establish the relevance and importance of your video is through visitor engagement. Engagement isn’t just calculated by the person looking at your video. It is judged by the the user viewing it, for how long he or she views it, whether or not they interact with it and even their behaviour after they have viewed it. So any technique that you can employ to increase what YouTube sees as engagement will lift you above the pack when it comes to search within YouTube and also what videos they suggest to a viewer as recommended. Many people fall into the trap of thinking that if someone likes my video then they will hit the thumbs up button or subscribe or whatever. The vast majority of people, unless prompted to do so will do nothing but click away to another video or another website. Poll cards are a great way to remind the viewer to engage as long as they are used right. OK this is why I often refer to the Basic Filmmaker as a reference. In this video he covers the subject of audio in your video which we should all know by now is a vital point. However the main thrust of the video is how good is good enough? I see this problem flare up over and over again on this site and on the forums I moderate on. Constant questions relating to what new thing the user needs to purchase or what latest and greatest update/upgrade they need to get in order to do something or make something better. Without exaggerating I would say that in 99% of all cases there is absolutely NO need for the user to do anything other than learn to use whatever it is he or she has right there in front of them. Last week I reported on the security issues with Quicktime for Windows that had been reported by the Department of Homeland Security and a few of the security software companies like Trend Micro. You can read all about it here in that post but I wanted to do a quick update on the situation this week. Basically what I advised in that post with regards to disabling the Browser function in Quicktime should pretty well end the matter for most people however this week Avid came out with their own article on it. Avid is one of the software companies that has more than most, a fairly heavy dependence on the Quicktime module for specific functions in their software. So if you are reading that article and are not running Avid, bear that in mind. They advise uninstalling then re-installing using the “Custom” method and suggest completely skipping the installation of the Quicktime Player itself. This would result in a bare bones installation that still probably covers the necessary components used by third party software. Personally I think this is probably not necessary for anyone other than Avid users but if you feel a little concerned then hey, why not! I came across a couple of articles this week on the subject of time lapse photography both of which give some pretty good information on the subject. Now obviously if you are on this site then you may be wondering what the connection is to video! Well these days most of the major software brands offer modules for creating time lapse videos but the important point to remember here is that a time lapse video is just a series of time lapse images stitched together to create the illusion of time passing. So while the marketing guys may present the time lapse capabilities of their products as being totally awesome they generally tend to leave out the actual shooting part of it all! The bit they always leave out is the bit covering how you get those photos in the first place and what you need to do to set up any camera to do that. The bottom line is that time lapse can be a great way of creating wonderful video moments but before you go getting all hot under the collar, check out the articles below to see just what it takes to capture great time lapse images you can use in your projects. If you have ever felt like engaging in a little experimentation with some lighting effects shooting any projects there are quite a few simple and cheap tricks you can use. The article below not only shows an easy and cheap way of getting a “campfire” flicker into your shot but also illustrates just how easy it can be to “fake” things in the world of video. Let’s face it, these days nearly everything you are seeing in a movie is to some degree a fake representation of the reality a director is trying to present to you.